← Do you ‘CHEAT’ in the kitchen? I do! 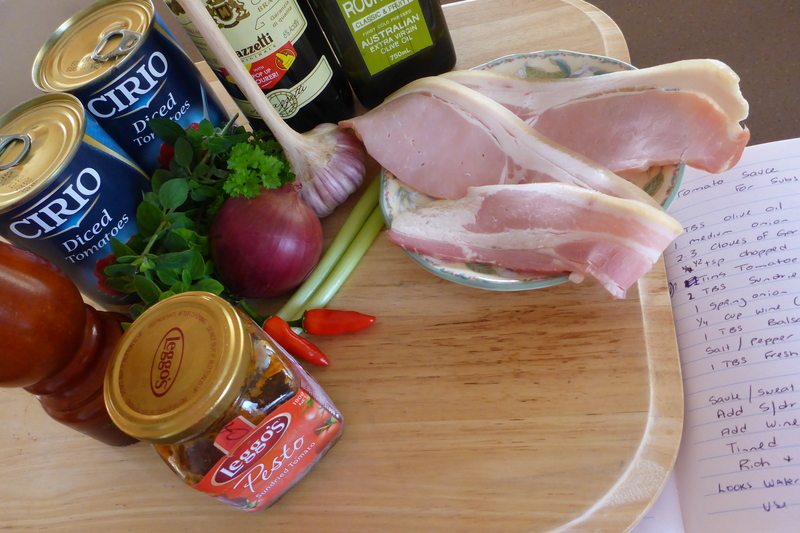 Some of the ingredients to use when making a great pasta sauce. In a medium sized pan over medium heat, cook the bacon (if using) and onion in the olive oil until the onion is soft and transparent. Add the garlic, chilli and the white of the spring onion. Cook for a further 5 minutes. 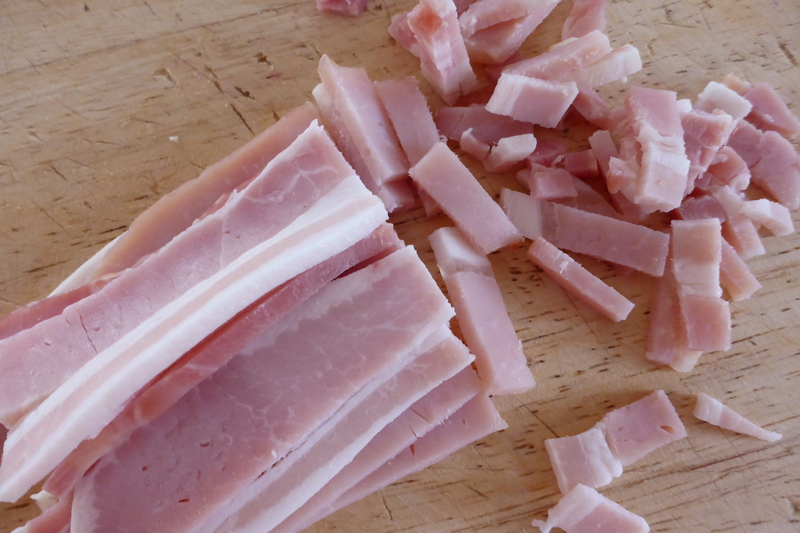 If using bacon roughly chop before cooking. Add the tomato paste and pesto and cook for 2-3 minutes before adding the crushed tomatoes, wine and vinegar. Stir through adding the oregano, salt and pepper. All the ingredients in the pan simmering away! Cover and let simmer slowly for about 30 minutes (keep an eye on it and stir for time to time so sauce doesn’t stick and burn). Add the fresh herbs, stir through and taste for seasoning. You may need to add more salt and pepper to taste. 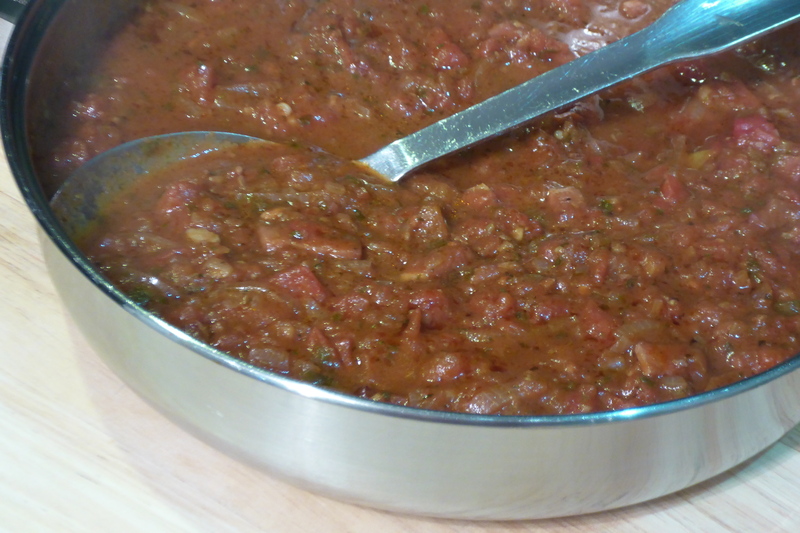 A beautiful, full flavour pasta sauce ready to use. Serve with pasta or use as a sauce for meatball subs. You can also use this sauce for pizzas (you may need to thicken a bit more) or as a base for soups and stews/casseroles. Use as much or as little garlic and chilli as you like. I like a bit more garlic and just enough chilli for flavour, not heat. You can use whole or diced tinned tomatoes. If using whole crush them before you add them to the pan. 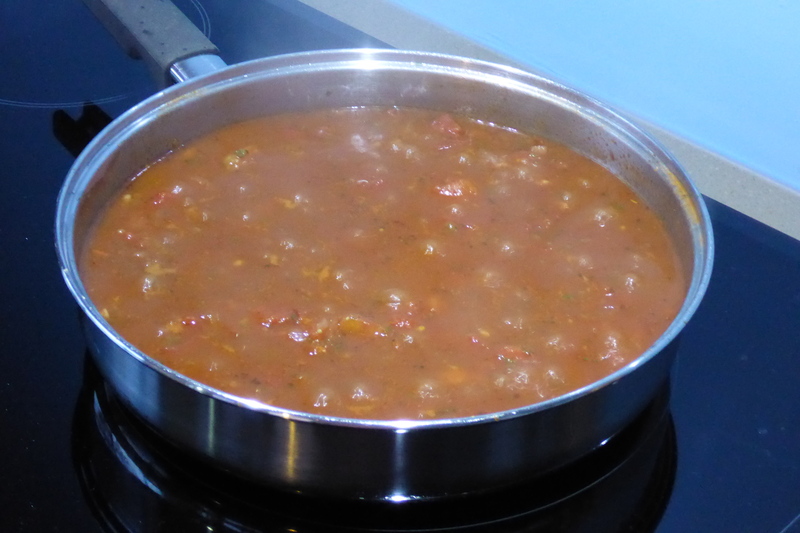 If the sauce looks a little bit watery take the lid off and simmer until reduced to your liking. Always, always taste and add more salt, pepper or even balsamic vinegar if needed. Dinner is served! Pasta with salad and garlic bread. 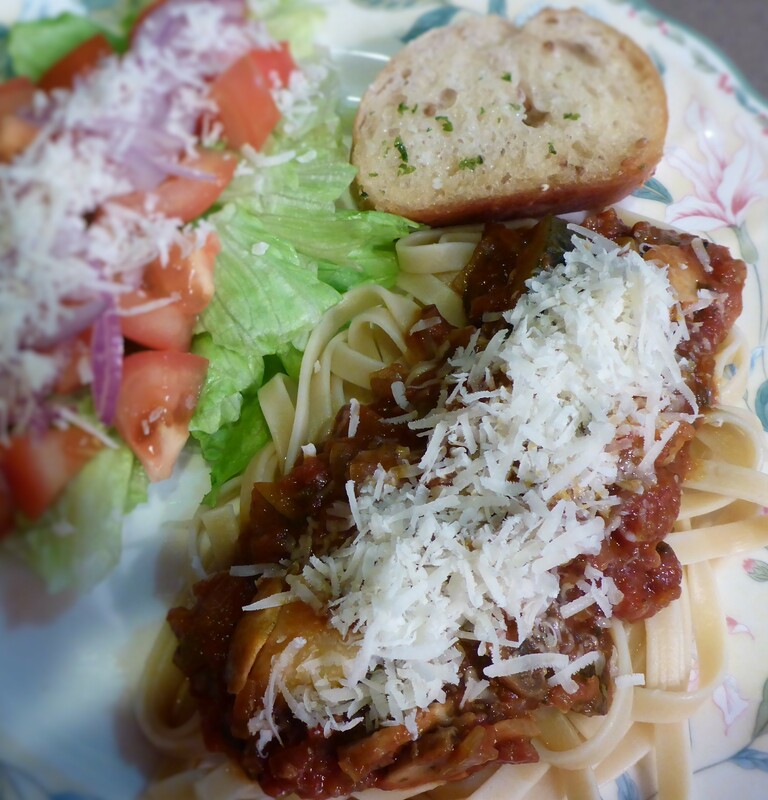 This entry was posted in Home, Recipes, Savoury (Main Meals) and tagged Homemade Tomato Pasta Sauce, Pasta, Sauce, Tomato. Bookmark the permalink.